How do we understand the Biblical statement that we are made in the likeness and image of God? I’m sure no one believes that God looks like us or we Him. We are material beings that require arms and legs to move about, God exists outside of dimensional space and time. He must, in order to create us and also remain Omnipotent, Omnipresent, and Omniscient. 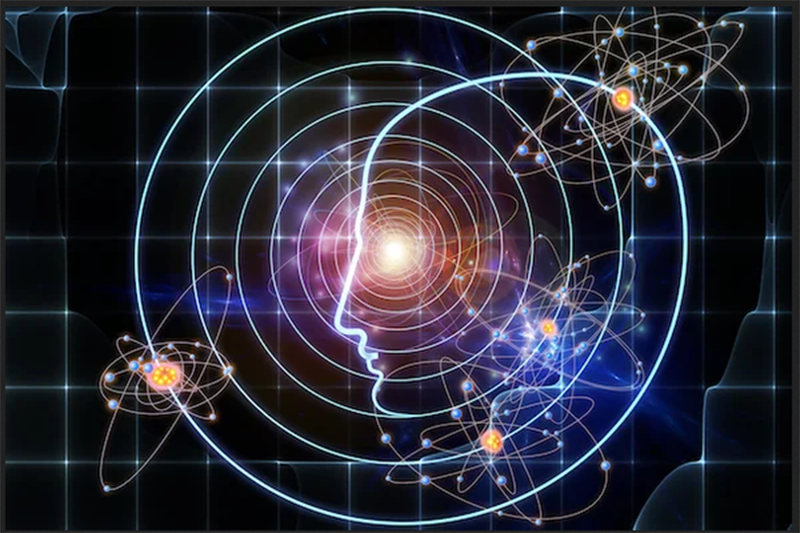 If you really delve into these words, Omnipotent must include the thoroughness of God’s power, from the micro pre-atomic primitive energy levels to way beyond the management of multi-universes and the gravity balance of all things material. Our Science is beginning to understand the former. The last 100 years we have been investigating Quantum Mechanics and Energy, and this seems to represent something that moves outside of time and space, yet is a matrix of the material world. The latter, well this truly exceeds our understanding, partially because of the enormity of God’s Universe. If you have looked at the Hubble telescope Deep Field, you get a glimpse of what is out there. https://www.nasa.gov/mission_pages/hubble/science/xdf.html There must be billions of inhabited planets out there. I say this because of God’s perfection and Creative nature. Would the world’s best artist create only one perfect painting? Neither would God create only one version of human life. One of the intrinsic natures of God is Creativity. The word Omnipresent means God is everywhere. The nature of God is not Pantheistic, however for God to be in all places, that means He is both Potential and Actual depending on where you look. Th Mind of God MUST pervade all things. In the movie The Matrix, Morpheus says to Neo, “Do you think that’s air you’re breathing” as they spar in a Virtual Reality program. Aspects of God must be in all we touch, hear, breathe and eat, in order for God to be omnipresent. Omniscient means that God knows all. It begins to make sense when you consider the aspect of the previous two traits. Everything is known, even the number of hairs on your head. In a sense we must live within the Mind of God. Think of your dreams: Everyone and and everything follows a story of sorts, that all happens inside your head. Of course this is a poor analogy for a being such as God, but we have to utilize our experiences in order to create a framework to comprehend something so much greater than ourselves, that we can only have the faintest perception of. God’s Creation must exist within His Mind. There is nothing outside of God; There is Nothing but God; God is One; God is All. We are a small part of God’s creation, within God, but segmented in a place that has rules of Time and Space whereas God is not limited by these things. God thinks, and what He thinks becomes real. Therefore we are. Taking that a few steps further, if we are a part of God’s Mind, we have potential access to unlimited levels of creativity. I say “potential” because there is obviously no way we can create a planet out of nothing, or raise a dead Lazarus. But it becomes apparent that we do have some limited ability to create within our realm of existence. If we think it, we can create it. So many things that were once Science Fiction, are not real and in practical use. The world around us is malleable and adjustable to our thinking and creative influences. It may take us a measure of Time, i.e., it is not instantaneous, and it must occur in a local manner, where we are, in Space, but the Thought becomes real. I will take another step forward and suggest that Evolution is a process whereby we gain greater access to more information and greater abilities, that contribute to greater acts of creativity. Much as a 2 year old child is very limited compared to a 20 year old youth, as potentially Spiritual beings, we too are limited to our access to greater information until we mature enough to be responsible in it’s handling (It appears this functions on a thin line between safety and danger of the species). The historical accounts of Jesus, suggest both a fully self aware human being combined with a highly creative Spiritual Being able to command the tools for great levels of creativity – a perfectly “responsible” personality. When Jesus says to us: “These and greater things you shall do” portends our levels of creativity as we spiritually mature, well beyond this material sphere. Subscribe to "A Notebook, of Sorts"
Unless otherwise noted, all items are original content by the author and rights are reserved. If you wish to re-post or use in any manner, please include a link to this page or an author citation.